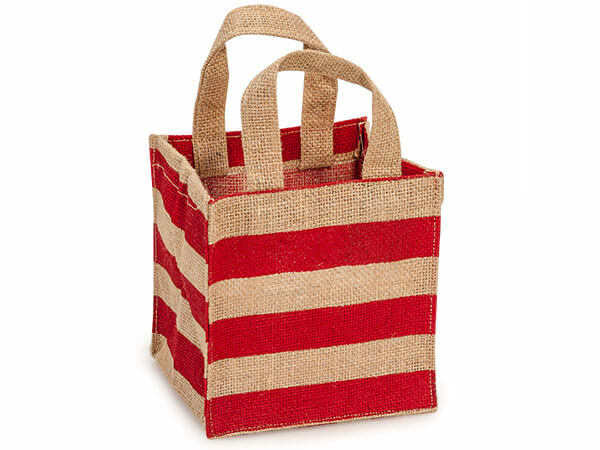 Burlap box shape bags available in popular stripe design and have flat handles. Made of heavyweight burlap, these bags have wide gussets and bases to maximize the look of your product. Perfect for basket boxes and floral arrangements.